The Tennessee Titans have promoted Arthur Smith to the role of offensive coordinator. Last year’s offensive coordinator Matt LaFleur left the team after one year as he was hired as the new head coach for the Green Bay Packers. Today the team announced that they have promoted Mr. Smith from the position of tight ends coach to offensive coordinator. Arthur Smith has been with the team through four head coaches, Mike Munchak, Ken Whisenhunt, Mike Mularkey, and Mike Vrabel. The fact that all of these head coaches have kept Arthur Smith on staff speaks volumes about how well he has been respected by the other members of the coaching staff. The Tennessee Titans had a tumultuous year, with injuries, weird wins, and stupid losses. They beat “good teams” like the Philadelphia Eagles and lost to “bad teams” like the Buffalo Bills. (Sorry to my original hometown team, I still love the Bills). And then there is the Indianapolis Colts who just seems to be the Tennessee Titans’ kryptonite, at least when quarterback Andrew Luck is playing. The Titans can’t figure out how to beat Indianapolis when Luck is at the helm. Now the Colts are moving on to the playoffs and the Titans are cleaning out their lockers. The Titans won a road game at MetLife Stadium in rainy and cold New Jersey. The victory was extra sweet as the Titans have not had a shutout game since December of 2000 when they beat the Dallas Cowboys 31-0. The wintery weather may have cost the Titans some points, as there were some dropped passes and a missed field goal kick. But behind Derrick Henry’s strong run game, the team prevailed. Henry had a great game with two touchdowns, 33 carries, and 170 yards. The Titans defense was also strong; the defense was able to hold the Giants star rookie running back Saquon Barkley to only 31 yards. The Titans defense had two turnovers during the second half of the game, with safety Kevin Byard getting his third interception of the year, and linebacker Kamalei Correa forcing a sack-fumble on Giants’ quarterback Eli Manning. The fumbled ball was picked up by defensive tackle Jurrell Casey. Coach Vrabel stated at the post-game press conference that he was proud that his team did not have any turnovers in the “tough conditions on the field”. The game was prolonged unnecessarily by the NFL refs who seemed to want to review far too many plays, and it took them a long time to reach decisions. The fans out in the cold had to have been frustrated by the delays. While we are on the subject of delays, the Titans did get an unsportsmanlike conduct penalty for having two “delay of game” calls in a row; rather strange. All in all, it was another Derrick Henry show, with the running back breaking the record for most rushing yards in back to back games. He beat Earl Campbell’s record of 405 yards with 408 rushing yards. The Titans will face the Washington Redskins next week at home on Saturday with a late afternoon kickoff time of 3:30 CT. Tennessee is now 8-6 for the season and the team needs to win the next two home games for any chance to get in the playoffs. The Titans were hyped at the end of this game and performed a “Remember the Titans” celebration dance routine. The hype and the teamwork needs to carry on for two more weeks, for two more victories for Tennessee to have a chance to get to the Super Bowl. Thursday Night Football in Nashville was all about Titans’ running back Derrick Henry. Period. At the beginning of the season, Henry had stated that he wanted to be known as a premiere back. He had not had a stellar season, with RB Dion Lewis getting more yardage and carries each game. But Thursday night it was all about Henry and he did not disappoint. It was another ugly start for the Titans. Their possession of the game ended with quarterback Marcus Mariota being sacked. 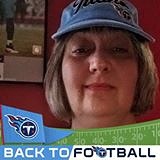 Since the Titans lost to division rival Houston Texans last week 34-17; one would think that the Titans would come out with guns blazing. Every Tennessee player on the field looked like they were wishing they were somewhere else or they were in a trance state. Mariota had a pass intercepted in the first quarter; Jets cornerback Trumaine Johnson returned the ball 31 yards and got a touchdown, giving the Jets a 10-0 lead. The thrill of victory from last week’s win is totally forgotten after this bomb of a game by Tennessee. The Titans started out slow and only showed any signs of life at the end of the fourth quarter. That’s when wide receiver Tajae Sharpe got the only Tennessee touchdown of the game with 1:49 left to play. Titans quarterback Marcus Mariota never looked confident in this game, and in fact, he threw several interceptions in the first half and was sacked four times. Mariota ended up having to leave by end of the first half with what ended up being a right elbow injury. On the other hand, the Colts quarterback Andrew Luck was not sacked at all this game, in fact, was not even hit by the Titans. The score at halftime was Colts 24, Titans 3. The Titans only score was a field goal by kicker Ryan Succop during the first quarter. The Titans “missed it by that much” as Maxwell Smart used to say in the Get Smart tv series. The Los Angeles Chargers held on to the win, 20 -19 in the last few seconds of the game after the Titans tried for two after a touchdown made by tight end Luke Stocker. Quarterback Marcus Mariota attempted to throw to wide receiver Taywan Taylor, but the throw was tipped by one of the Chargers defenders and it was just not a catchable ball. The Titans really did put forth a good effort in this game. It was an exciting and the win could have gone to either team as the battle went on until the very end. Let’s just put it out there and get it over with. The Titans punted on every single drive, and quarterback Marcus Mariota was sacked eleven times. There was nothing to cheer about if you are a Titans fan. This game was the first time that the Titans were shut out at home since the team has been in Nashville. The Tennessee offensive line did not have an answer for the Ravens rushing attack, and Mariota was scrambling without success each and every quarter. The team did not seem to have a good game plan this week, or last week against the Buffalo Bills for that matter. Titans’ defensive coordinator Dean Pees did not figure out how to shut down the Ravens’ QB Joe Flacco. Pees didn’t seem to have any inside track for how to beat his old team. The Titans’ offense was even worse. The receivers didn’t have the ability to get open for Mariota, and the offensive line was getting run over. The running backs just couldn’t run. At all. They kept getting stuffed and losing yards. It was another no touchdown game for the Titans. They’re back to square one and living off of kicker Ryan Succop’s field goals. There is no way you can get to the playoffs and win without players that can catch and hang on to the football. Nope. Tennessee had three turnovers during this game at New Era Field in Orchard Park, New York, and the Bills took full advantage of them. During the Titans’ first possession, wide receiver Taywan Taylor fumbled the ball which the Bills recovered and turned into a touchdown run for quarterback Josh Allen. Quarterback Marcus Mariota threw a pass intended for WR Nick Williams and it was picked off by Buffalo cornerback Taron Johnson. The Bills did not score after this turnover in the second quarter, but the interception seemed to just be ‘par for the course’. That made it hard for the Titans to get any momentum going at all. Titans running back Dion Lewis fumbled the ball in the third quarter, and the Bills were able to get a field goal off of that mistake.